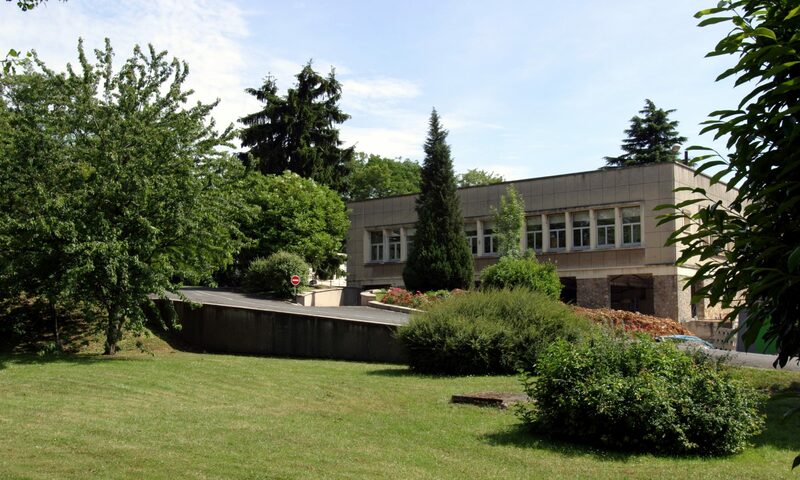 The LOA is located at the Yvette Research Center of ENSTA ParisTech in the Ecole Polytechnique campus. 1) If the gate is open, go through the campus directly. 2) If the gate is closed, follow the direction PALAISEAU CENTRE at the exit of Ecole Polytechnique, then follow ENSTA – CENTRE DE l’YVETTE. 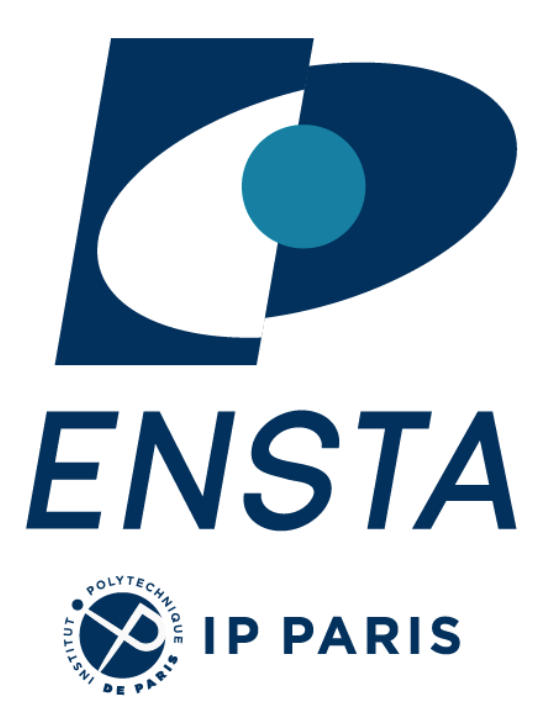 ENSTA is located at the end of chemin de la Hunière. 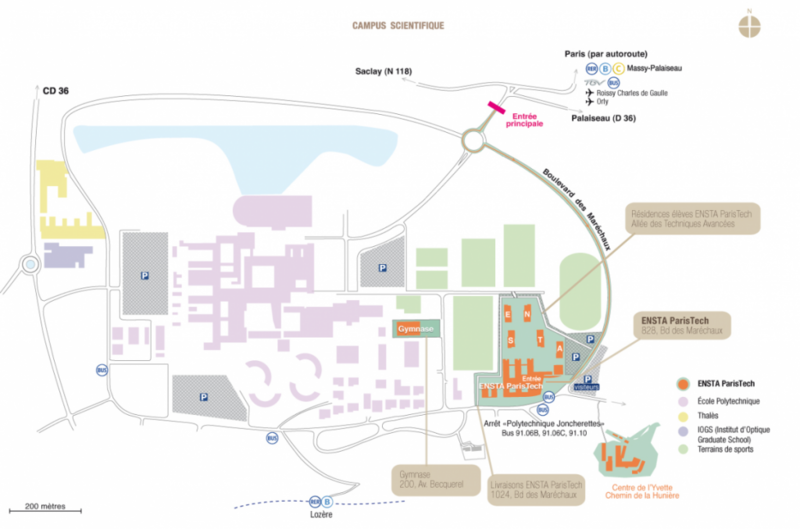 Then exit A6 and take highway A10 in the direction Palaiseau, follow the direction SACLAY. 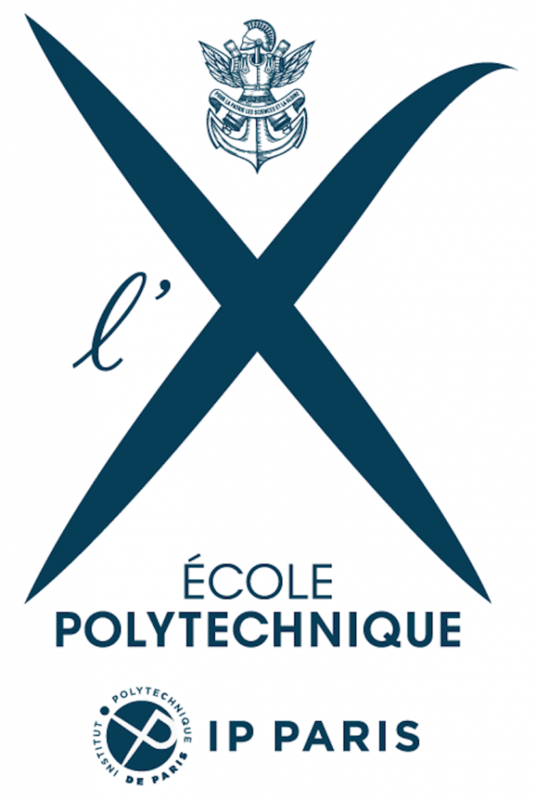 You will see on your left the main gate of Ecole Polytechnique. Then take the road D36, following the direction Ecole Polytechnique. Ligne B : Exit at the station Palaiseau-Villebon (go through the bridge over the rail for those coming from Paris), take the street Elisée Reclus, climb up to the plateau and go straight up to ENSTA buildings on your left (15 mn on foot). Ligne B : Get off the train at the station Massy-Palaiseau, then take the buses 91.06B, 91.06C or 91.10 until the bus-stop Polytechnique – Joncherettes. 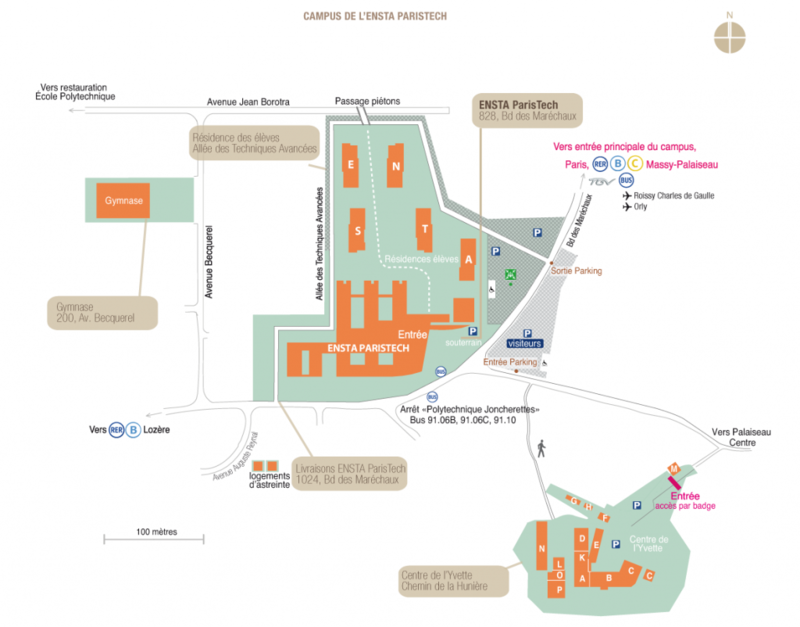 Take the exit of the campus towards the chemin de la Hunière to reach the ENSTA buildings and the LOA. Bus timetables can be obtained at the following address (http://www.albatrans.net/horaires.page.php3). 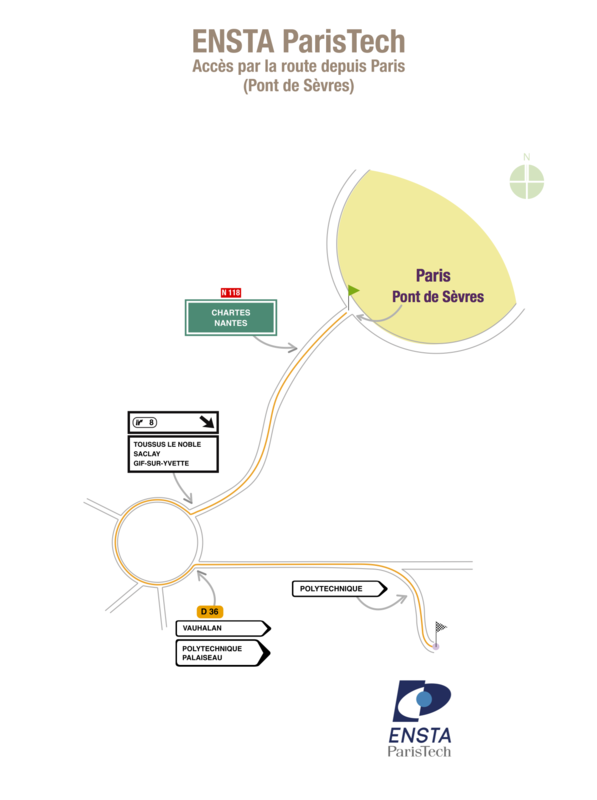 From the RER B station « Palaiseau-Villebon », you can also use the bus line n°14. See also for more details: http://www.carsdorsay-transdev.fr/fiches_horaires/secteur_mobicaps8.pdf. 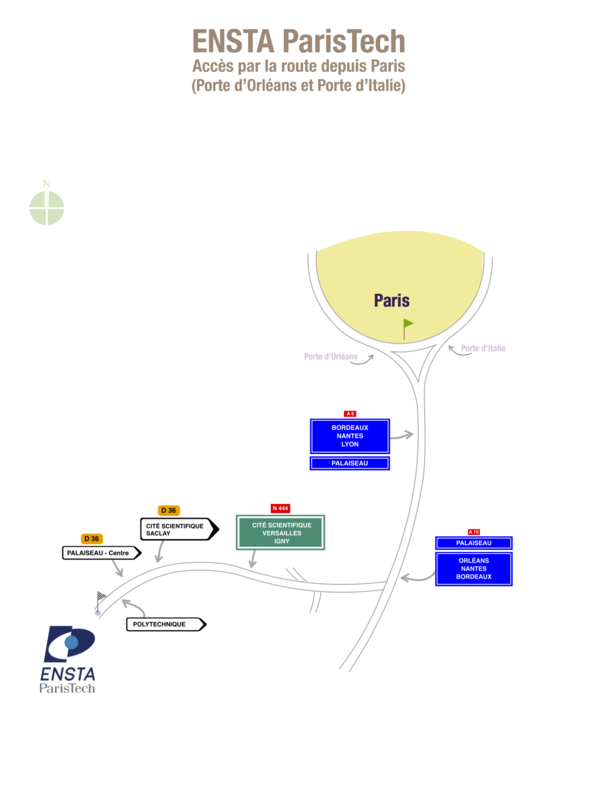 From ORLY airport, take the subway Orly-Val up to the station ANTONY and then the RER B line (see directions above to reach ENSTA-LOA).